The South Australian Barossa Vintage Festival is the oldest of its type in Australia with 2017 marking 70 years of celebrating the end of the grape harvest and vintage. As is usual with this type of event there were numerous opportunities for visitors to immerse themselves in the regions famous wines and locally produced food against the backdrop of Borossan history and heritage. The car that started it all. A 1932 SS 100. Held from Wednesday the 19th to Sunday the 23rd of April 2017, there were altogether some 90 events to charm all age groups that showcased arts, music, culture and community. 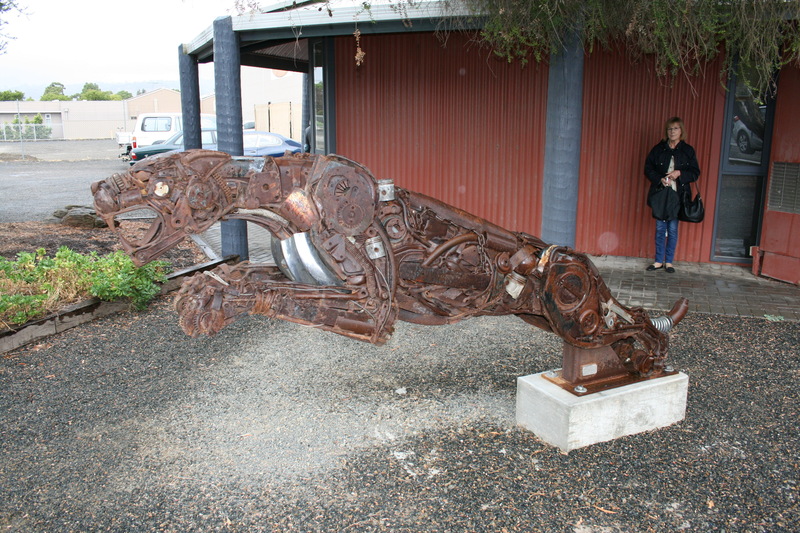 But access to one of Australia’s most extensive collection of Jaguar cars was a pleasant surprise for any avid car buff. The collection, which boasts some 50 vehicles, is the obsession of fifth generation Barossan, Carl Lindner. Carl, who is of descent from the religiously persecuted Silesian Lutherans that immigrated to South Australia in the 1840’s and settled in the Barossa Valley, has interests in a number of vineyards and is also a property developer. He is also passionate about the Barossa and works tirelessly to promote the region. Part of the extensive collection. 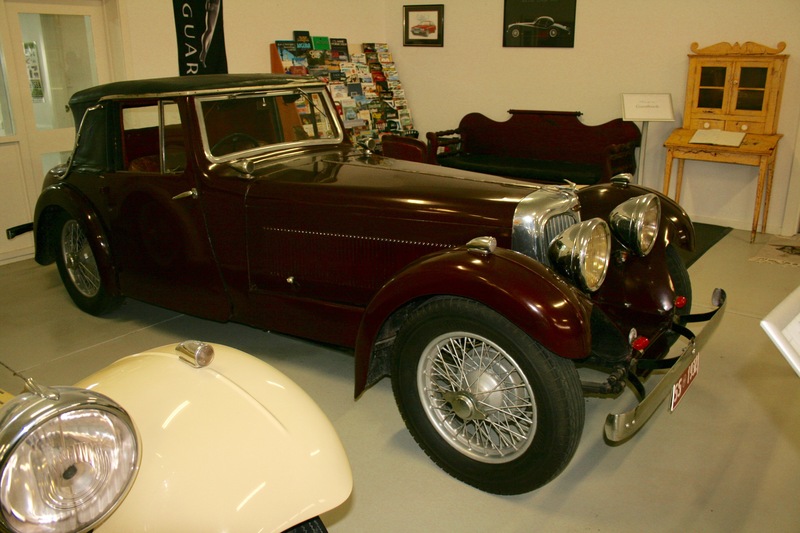 Carl’s interest in the Jaguar marque began almost by accident in 1982 when at an auction in Tanunda he was determined to outbid a friend for a lot that turned out to be a 1932 SS 1 with coachwork by HW Allingham. Lindner became fascinated with the story of Jaguar founder Sir William Lyons and the rest, as they say, is history. 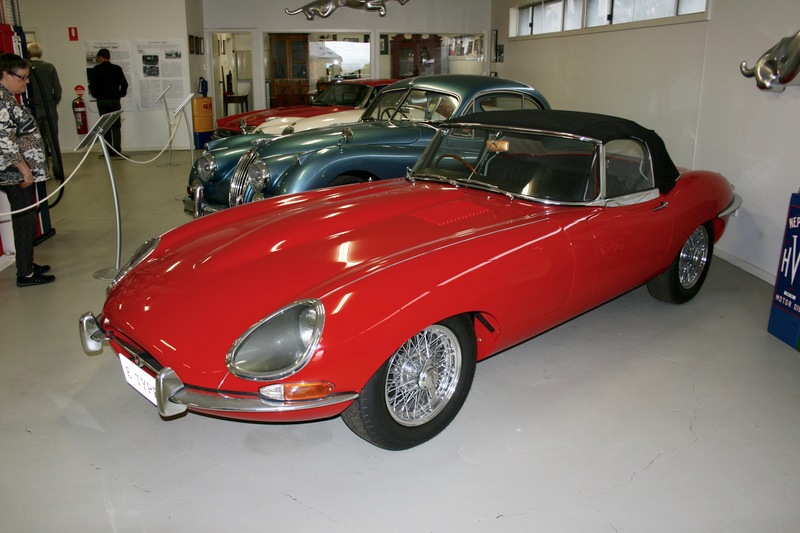 Carl has purchased an array of different models over the years, although the E-Type figures prominently, and has a spotless display in two separate buildings one of which has a restoration area. 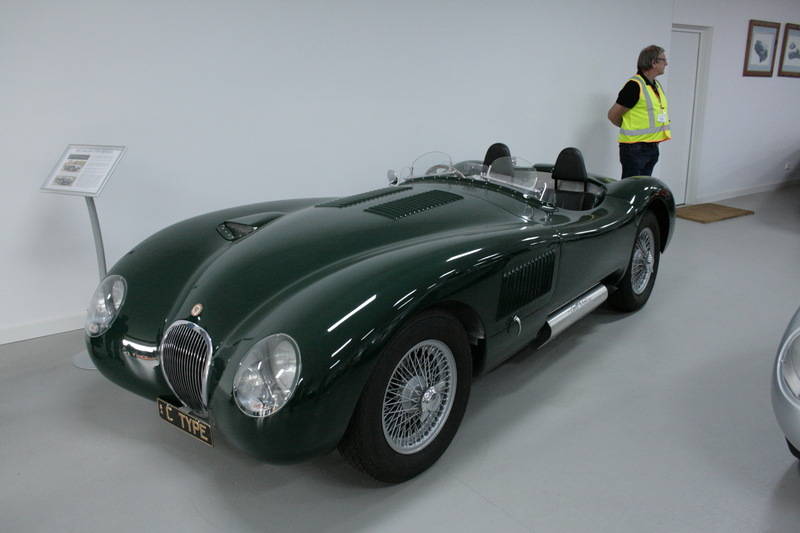 Lindner also has a number of replica model Jaguar’s built in association with Rob Firman and Matt Gill of Whitestone Panel Paint and Coach based at Oamaru in New Zealand. The exhibition of cars at 55 Basedow Road Tanunda is not usually open to the general public although car clubs have arranged to visit the collection and the cars are occasionally used to raise money for charity at events in the Barossa. What more could classic car enthusiasts ask for? Good food, great wines and classic cars. Pencil in the 2018 Barossa Vintage Festival. This entry was posted in Motoring and tagged Barossa Valley, C Type Jaguar, Carl Lindner, Jaguar SS1, Swallow Sidecars, Tanunda, William Lyons on 01/05/2017 by Geoff Dawes.